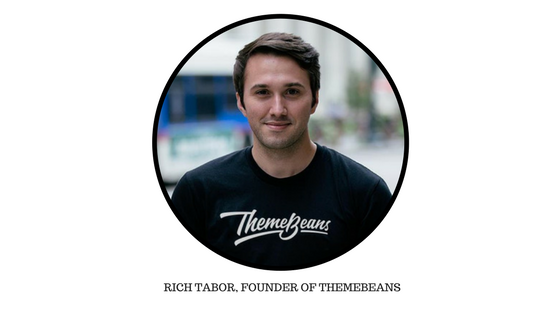 Today at ‘Expert Speaks‘, we have with us Rich Tabor, the founder of ThemeBeans, a hub of some of the most popular WordPress themes. 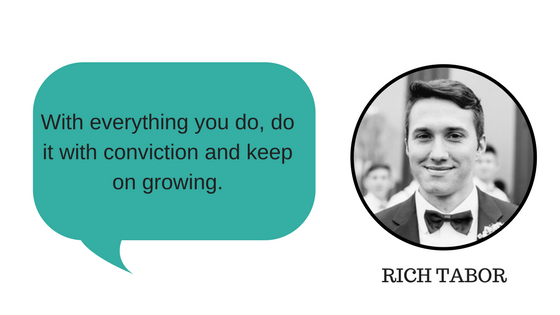 In this interview, Rich talks briefly about some of the top lessons he has learned, the importance of goal-setting and staying focused. He also mentions the projects he is currently involved in and expresses his fascination for Gutenberg. We thank Rich for inspiring us with his words of wisdom. We hope you guys enjoy going through his informative answers. From being a Marketing and Leadership student, how did you get involved with WordPress? I studied marketing and leadership at the University of North Georgia, honing my Photoshop skills along the way. 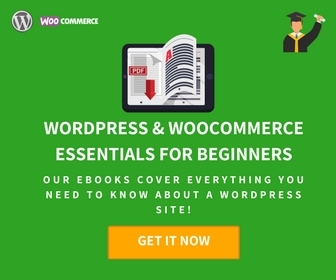 Soon after graduating, I found myself working as a designer at a local marketing firm, where I discovered the power of WordPress. I started diving into WordPress theme development on my own and launched my first WordPress theme back in 2011. 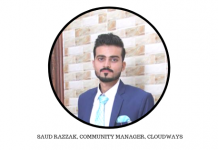 Developer, Designer, Blogger, Freelancer and last but not the least Entrepreneur! How do you manage all these roles? Haha, well all of those sit hand-in-hand. 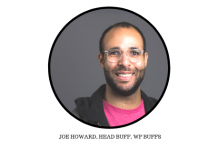 I happen to design and develop the vast majority of my entrepreneurial projects, contract for exciting gigs, and I enjoy writing about it all. I wrote a post on my blog, highlighting the top lessons I’ve learned running a successful WordPress product shop — one of which is learning to stay hyper-focused on goals and objectives. I’ve personally excelled with monthly and annual goals, weekly objectives, and consistent reviews to measure my progress in achieving those goals. In your several years of involvement with WordPress, what according to you is the best thing to have happened to WordPress? Hands down, the pending merge of Gutenberg — the new block editor headed for WordPress 5.0. I’m stoked for this new publishing experience that will absolutely change the landscape of content editing for years to come. I’ve been working on a new WordPress theme, in a class all of its own, built expressly for Gutenberg. It’s called Writy. Together, Writy and Gutenberg will positively level-up the WordPress writing experience in a very big way. I’m also working on a suite of Gutenberg blocks at GutenKit. We’ve released a number of plugins on the WordPress directory and have quite a few in active development. As you can tell, I’m stoked about Gutenberg! 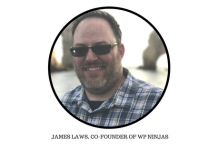 Con: If it weren’t for the amazing WordPress community, working from home could make me feel disconnected from the outside development world. It’s tough managing relationships across viewports, but it’s possible — and it’s worth it. What are the projects you are currently working in? ThemeBeans: Working on migrating all themes to function 100% in WordPress 5.0 and Gutenberg. In ThemeBeans’ current stage of growth, what are the top challenges to deal with? ThemeBeans has been growing significantly over the last twelve months, and even more-so since I launched Tabor, my own personal WordPress theme. The most challenging part of growing ThemeBeans is exploring ways to grow the shop without having to continuously develop new products — it just does not lead to a sustainable growth model. I’ve found that writing on my personal blog has helped to grow ThemeBeans quite a bit, as it’s easier to market a personality (me!) 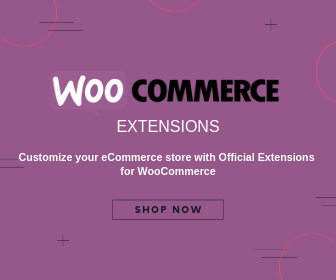 — than it is a WordPress theme shop, which are a dime a dozen. Your work has inspired a number of new folk of WordPress. Any word of advice for people who wants to follow your path? Hope Rich’s journey inspires you to work and stay focused towards achieving your goals. 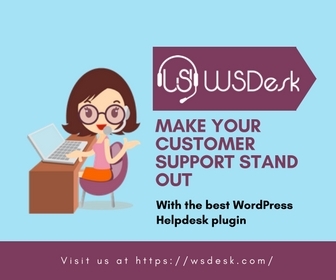 Previous articleHow to install WordPress?